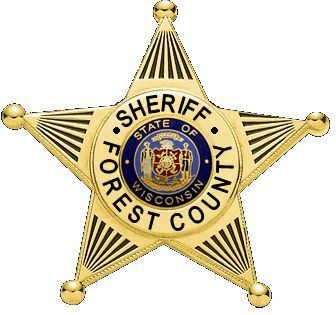 The Forest County Sheriff's Office was founded in 1885 and today serves an estimated 9,304 full-time residents of the county. The Sheriff's Office patrols 1,046 square miles of the County which consist of 14 townships. In 1997 Forest County constructed a new Law Enforcement Center which is located in the City of Crandon. The Sheriff's Office is organized into six divisions: Corrections, Patrol, Recreational Patrol, Investigations, Drug Unit and Support Services, each of which is commanded by the Sheriff, Chief Deputy and Jail Administrator. The Sheriff's Office has 18 sworn deputies which consist of a Captain, Lieutenant, 2 Patrol Sergeants, 2 Drug Unit Sergeants, School Liaison Officer, Recreational Deputy, K-9 Deputy and 9 Patrol Deputies. Our in-house units include K-9 Patrol, SERT (Special Emergency Response Team), Investigations and Recreational Patrols (which include Boat, ATV and Snowmobile). The Forest County Sheriff's Office has grown and advanced along with its communities and believes strongly in pro-active law enforcement. In keeping up with today's Police Technology, the Patrol Units are equipped with Mobile Data Computers, Digital Radio Systems, Cell Phones, Digital Video in Car Camera Systems and Radar Units. In July of 2013, the Sheriff's Office upgraded it's in house Records Management System, Jail Management System and Computer Aided Dispatch System which will greatly help improve it's services to the residents and visitors of Forest County. The Computer Aided Dispatch system is also capable of sending calls for service directly to the field unit.